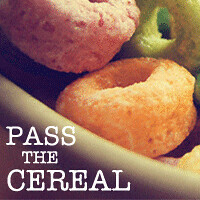 Pass the Cereal: The girls want to show you their new moves! The girls want to show you their new moves! I'M SMILING FROM EAR TO EAR!!!! there's nothing about this post that doesn't warm my heart!!! Whoopee!!!!!! Liv is finally brave enough to go for it. Now the trouble begins! Wonderful break dancing too, E.J. Jack better watch out. Have you two ever thought of partner dancing? Love EJ's dance but my favorite part is her tongue sticking out - so adorable! Now that I've met the I just want to reach into the computer and give them big hugs. Plus, Lovin' the new living room look! LOVE IT! too cute. And I love your LR. Love the orange. yea Livie!!!! Now we all saw it, so she can't go back now :) Very cute dancing by EJ too...love it!